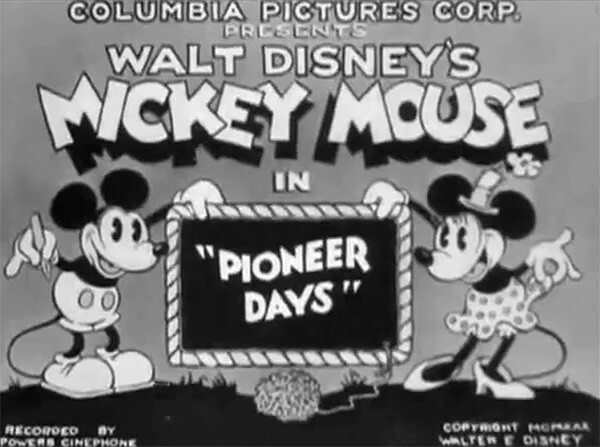 Pioneer Days (film) Mickey Mouse cartoon; released on December 5, 1930. Directed by Burt Gillett. As Mickey and Minnie head west in a covered wagon, they are set upon by Indians who capture Minnie. Mickey rescues her and when they return they frighten off the Indians from the pioneer encampment by pretending to be an army of soldiers.